← Valentine’s Free Gift with $150 Purchase! Chamilia Special Offer! Free Bead with $150 purchase! *Please note: This special is not available with any other offers we have available. See our stores for details on this offer, or you can purchase them online! See our website here. 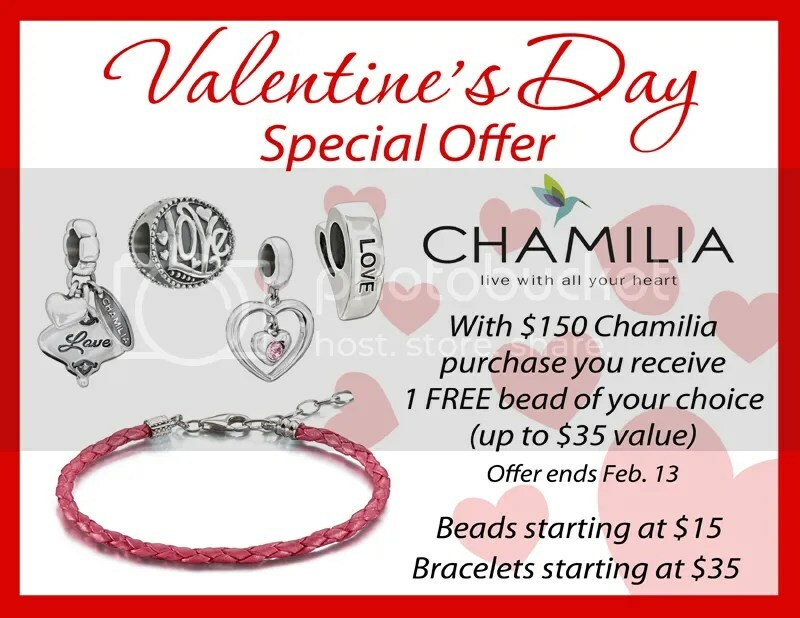 This entry was posted in Jewelry and tagged chamilia, chamilia beads, columbia sc jewelry, free bead, free jewelry, Jewelry, valentines day special offer. Bookmark the permalink.